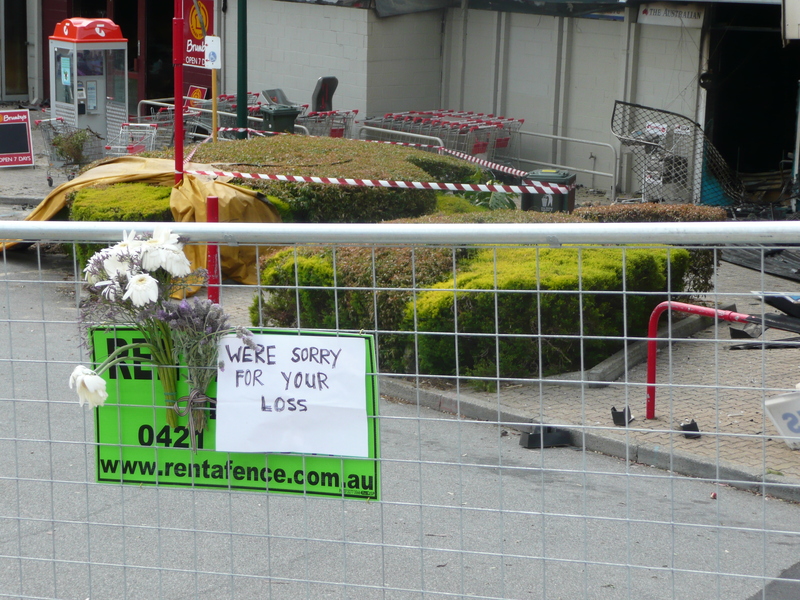 These two signs hang on the fence surrounding the charred remains of our local shopping centre. One expresses the deep sorrow of the community, the other is a pointer to the community spirit that will carry us on. Both lament and hope need to find expression and it is my desire that we will find ways to appropriately process these as individuals and as a community. 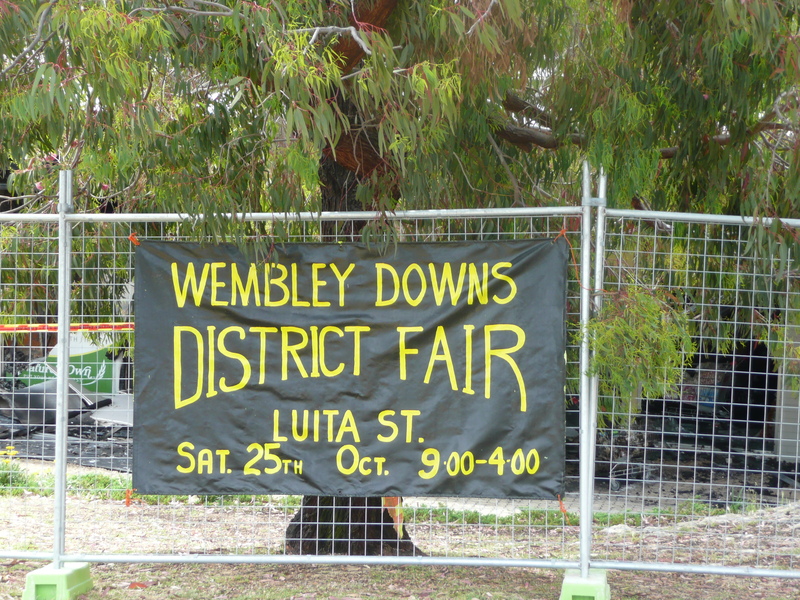 The Luita Street fair, though annual, is a timely event to remind us that while our loss is significant, we have not lost all. Our hope is also that the way will be clear for a swift re-establishment of the shopping precinct. My church, just across the road from the devastation, is trying to think of ways of being useful. We can organise rides for shopping for those who have been dependent on shops they can walk to. We can become a distribution point for the local suburban paper. We can offer the listening ear for those who need to talk it through. But we are also open to ideas from the community. Tell us what you think, either by leaving a comment or by emailing.